Doctorpreneurs is delighted to have been appointed as an official sponsor for the NHS England Clinical Entrepreneur Programme. We have been working in partnership with this national programme since 2017, helping nurture an even greater number of innovative and entrepreneurial clinicians across the NHS. The Clinical Entrepreneur Programme has been co-designed by NHS England and Health Education England to offer opportunities for doctors and the wider health professionals to develop their entrepreneurial aspirations during their clinical training period. 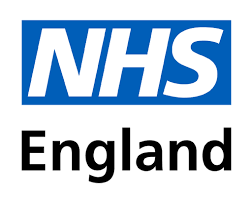 The programme, which was launched by Sir Bruce Keogh in 2016, is designed to keep the most forward-thinking, entrepreneurial clinicians within this country, bringing the benefit of cutting-edge new treatments and care pathways to the patients who need it – and keeping more of the money generated within the British economy. It offers opportunities for NHS staff to develop their entrepreneurial and intrapreneurial aspirations by helping to develop and scale their most innovative idea. Time for entrepreneurial activity – individual discussions to explore appropriate options such as less than full time training, annualised job planning, time out from clinical duties. Education – commercially relevant opportunities including expert webinars, video content, e-learning and flexible university interoperable/recognised accredited modules that can be used towards PGCert, PGDip, Masters and undergraduate/intercollated qualifications for interested students. Pit Stop educational events focused on creating successful start-up businesses held throughout the year. Bringing together complimentary high value programmes e.g. ENTIQ, NHS Innovation Accelerator, AHSN, Health box, Rock Health, Leo Innovation Labs, Startup Health.